Sacred Secrets wasn’t planned. It wasn’t until after Living Proof Live in Greensboro in April that we realized just how special this message was. And Beth realized it too. The project came together quickly, and it’s a message that we feel will resonate with you. Sacred Secrets is unique. In addition to shorter video sessions, there is a study journal for you to work through thought-provoking questions during the week — but not the traditional homework. 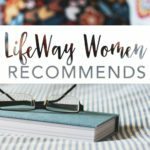 This will allow you plenty of time to explore some of those secrets kept between you and God. 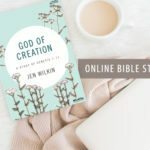 Check out this free sample of the Bible study journal! Want to be a part of the Living Proof Live experience? Click here to see if Beth Moore is coming to a city near you in 2014! This is awesome. I downloaded the video bundle to do own my own. It is amazing and the workbook is a great journaling excercise. You are gonna love this 5 week series – I promise. 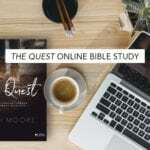 This Bible study from this sample looks powerful and empowering. I love to know that God covers our sins (secrets) but helps us to remove the secrets so we can live in truth, in light and under His shelter in confidence.